Being a massage therapist is more than a profession to me, it gives me the ability to honor, respect, listen, and give to others. To empower my clients through positive touch. I am a mindful therapist, with an open heart and mind. I work primarily with athletes - professional to the weekend warriors, pre & perinatal women, and those who seek stress relief. No matter my client, my goal is the same; to help others live a balanced and pain-free life. Earned B.S. degree in Family Social Science, University of Minnesota, 2000. 2003 graduate of the Boulder College of Massage Therapy in Boulder, Colorado. At Boulder, received 1,000+ hour intense training covering a wide variety of massage techniques including Zen Shiatsu, Swedish Massage, Normalization of Soft Tissue (Deep Tissue), Integrative Therapeutic Massage and Prenatal Massage. Created a successful community service program providing Swedish and Neuromuscular Massage to counselors, teachers and social workers at Savio House in Denver. Provided comfort massage for cancer patients at a local Denver hospital. Worked for a fast paced, high-end day spa providing massage and body treatments. Practiced a variety of highly effective therapeutic modalities at AMS Health, a medical massage clinic, to help in the recovery from injury and accidents. 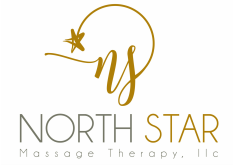 Moved back to Madison in 2005, opened North Star Massage Therapy, LLC. Received my Pre- & Perinatal Massage Certification in 2010. Contracted by the University of Wisconsin, since 2007, to provide recovery massage to Division 1 athletes. Board Certified in Therapeutic Massage and Bodywork (BCTMB).